Jog falls is a very popular waterfall in Karnataka. 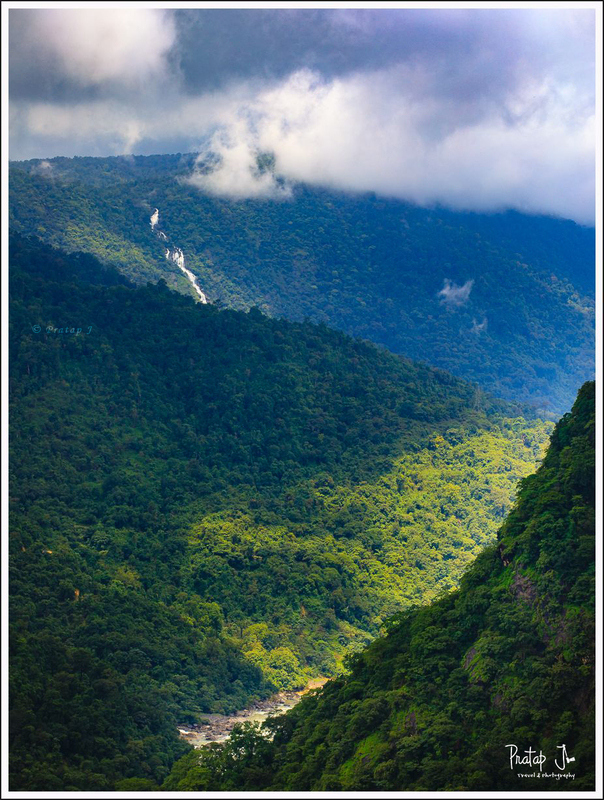 Situated in the Western Ghats, the river Sharavathi plunges from a height of 830 feet here. 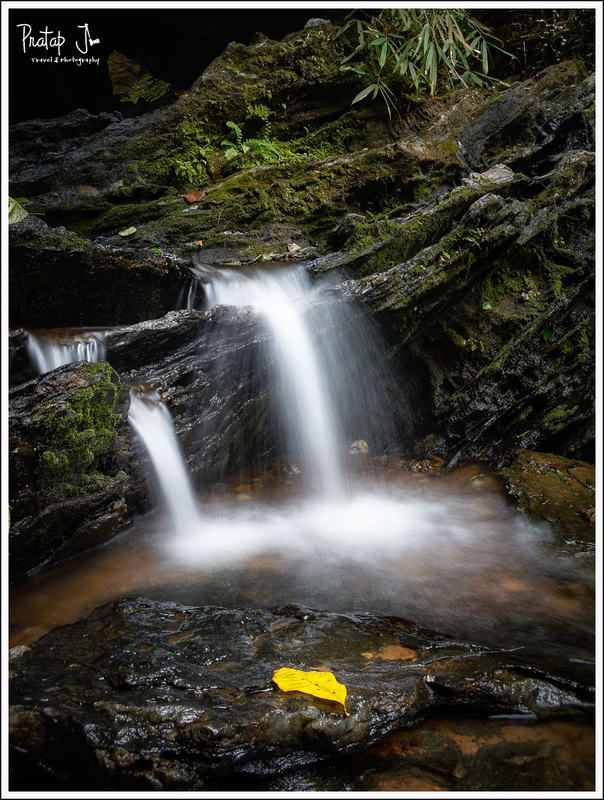 This falls is also known as Gerosoppa Falls or Joga Falls and is at its best in the monsoon season. If you live in Bangalore, you can visit Jog and nearby places easily over a weekend. Here are some quick tips on how to plan a weekend trip to Jog based on my recent experience. I visited in late August and was quite surprised at the lack of information about the other beautiful places close to Jog. 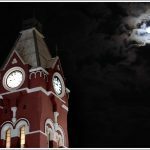 This is an attempt to provide details about how to optimise two days and cover a few other beautiful places near Jog falls. The waterfall has four distinct cascades — Raja, Rani, Roarer, and Rocket. The best time to visit is between June to October, when each of these cascades have sufficient water. In other seasons, they are reduced to a trickle. 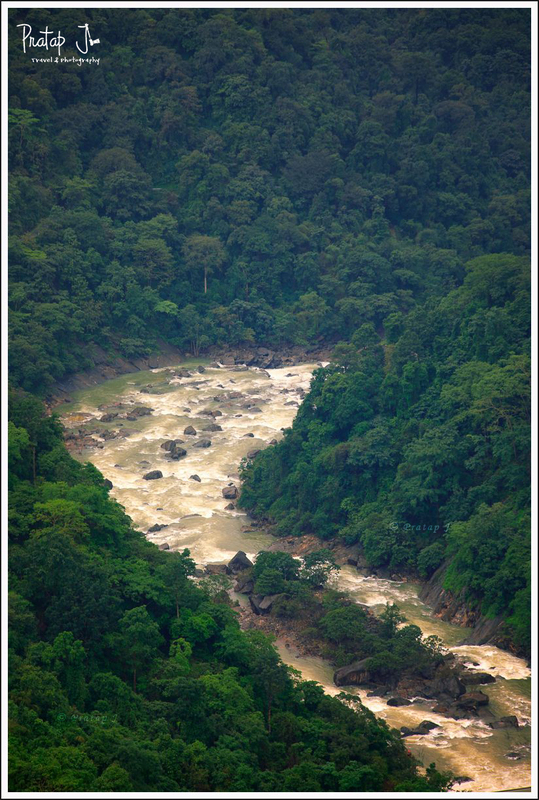 During the peak monsoon season, the flowing water is so fierce that it is indeed a treat to watch. Now a days, plenty of amateur videos of this sight do the rounds on social media. It was inspired by one such video that I decided to visit the waterfall in the end of August. Although what I saw was not quite like in the video, there was sufficient water to make the trip fruitful. The local guide told us that the water levels reach unreal proportions when the dams are open. 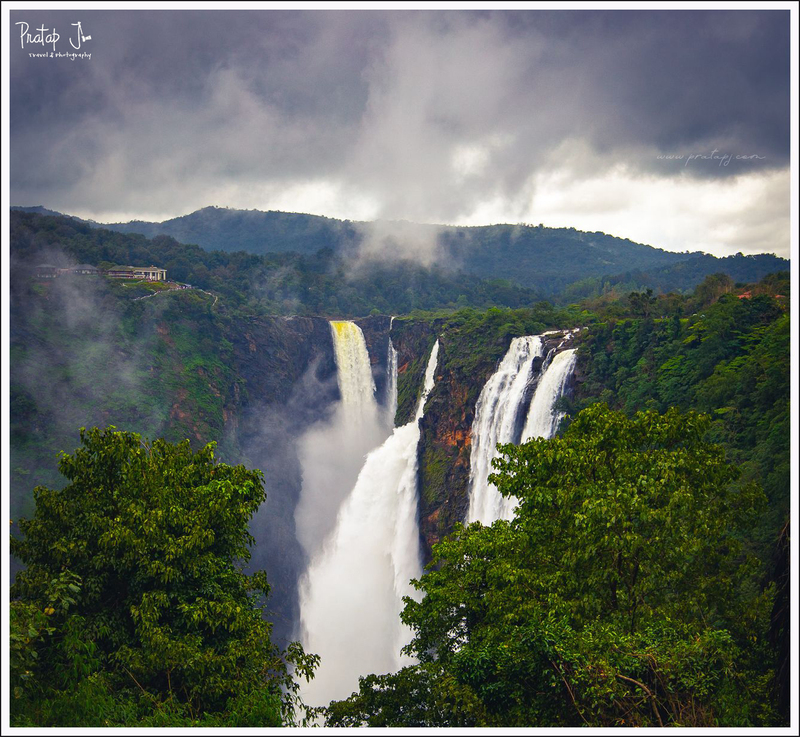 I am not sure if it is continuous rainfall or the dam water which contributes to the water levels, but nevertheless, do visit Jog Falls only in the monsoon season. 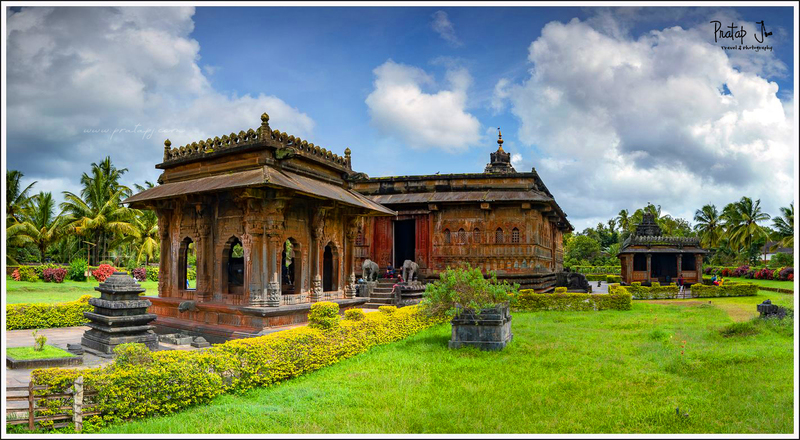 Shimoga (or Shivamogga) which is the district headquarters of Shivamogga District in the central part of the state of Karnataka, India. Jog falls is 100km from here. 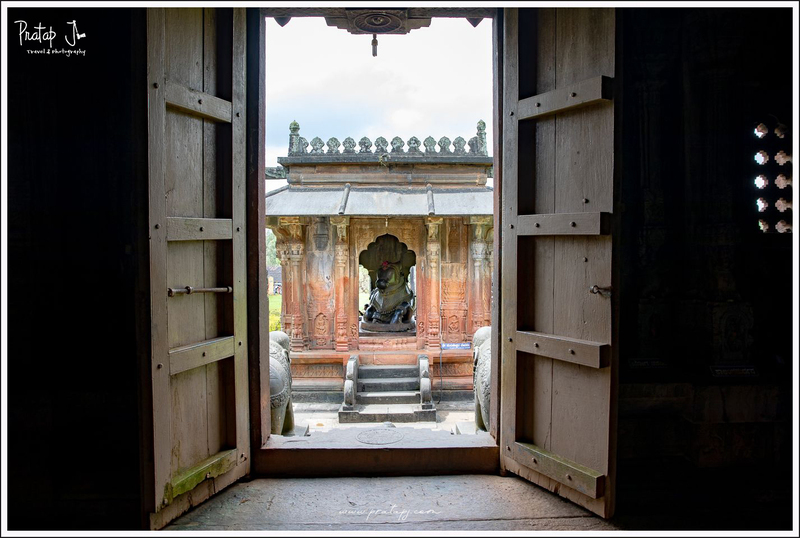 Shimoga being a larger city has more comfortable stay options. 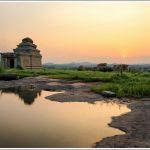 It is 300km from Bangalore and is well connected by road and rail. The river Tunga flows through this city. 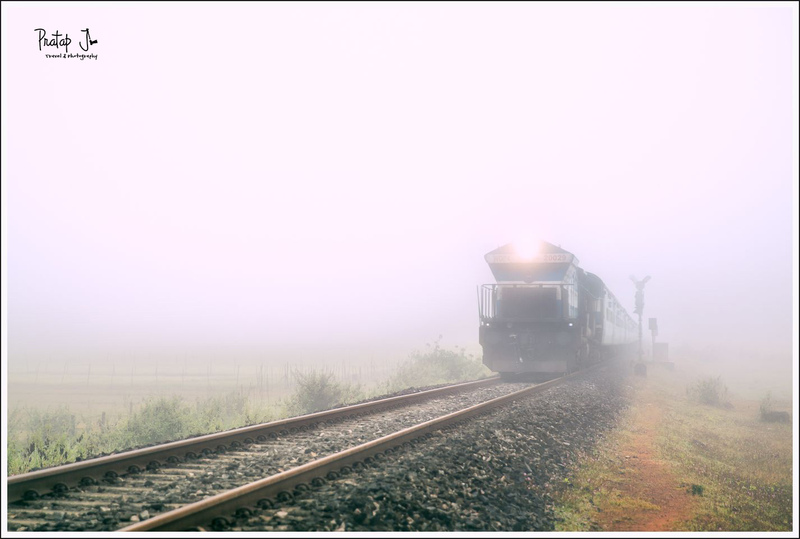 It takes about 5 to 6 hours to reach Shimoga by either modes of transport from Bangalore. The Karnataka State Transport Corporation (KSRTC) has regular AC buses to Shimoga. This makes traveling to Shimoga very convenient. I stayed in Hotel Royal Orchid Central which is very close to the KSRTC bus stand and has excellent rooms. 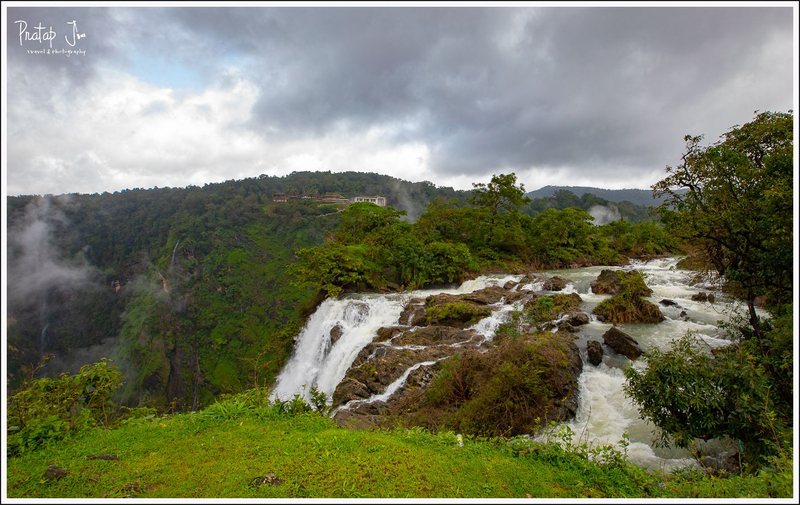 If you arrive in Shimoga on a Saturday morning, you can visit all of these places before visiting Jog Falls on the following day. 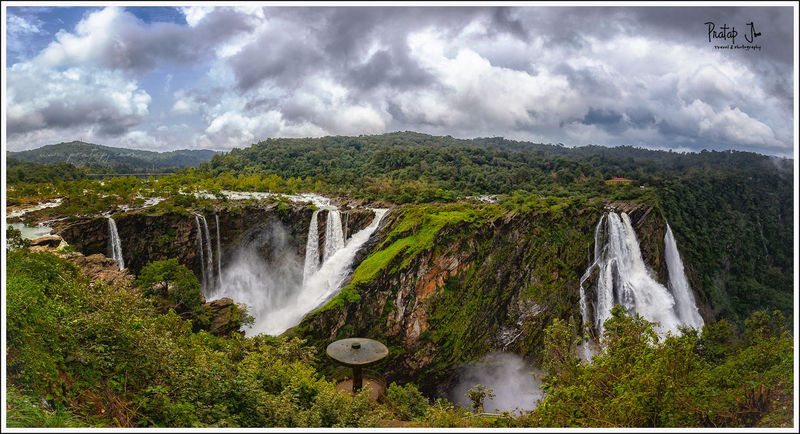 If you stay in Sagara, you are very close to Jog Falls.You can take an overnight bus from Bangalore, or catch the Talguppa Express (16227) at 11 pm and reach by 7 am. Talaguppa is 15km from Sagara. 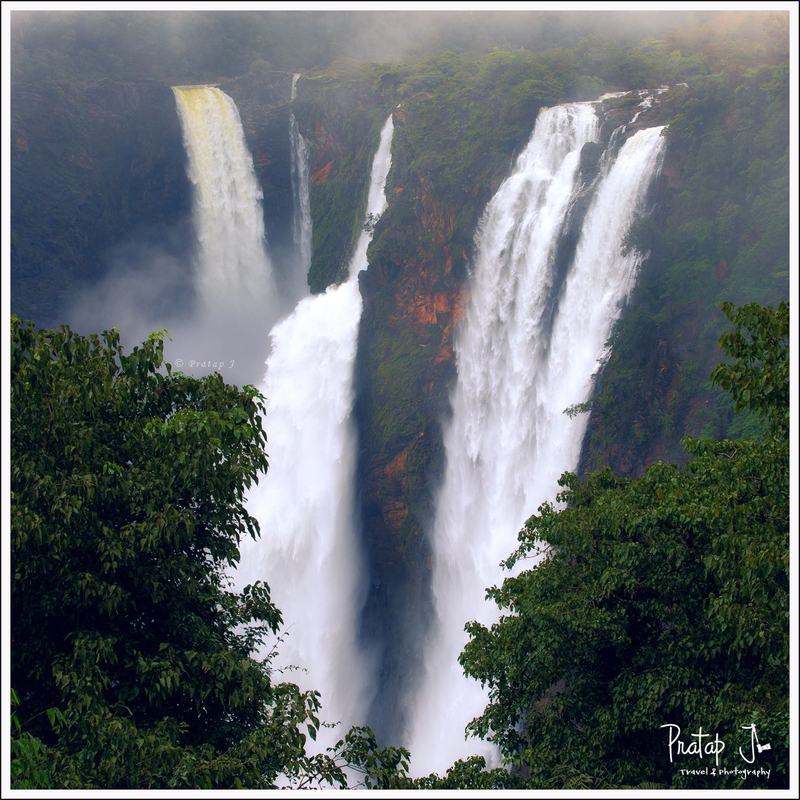 One can easily spend up to 3 hours in Jog Falls. 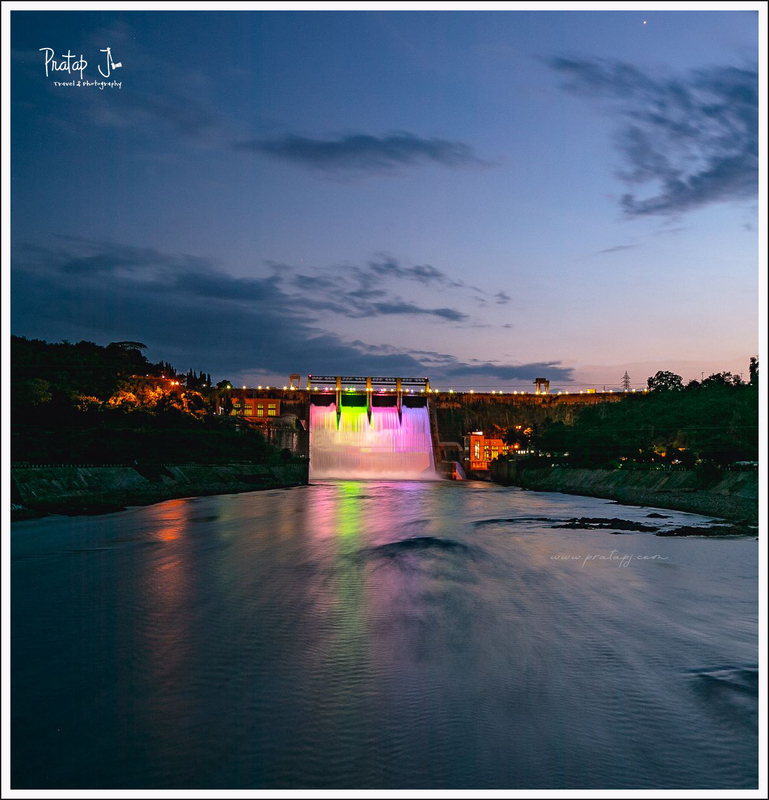 You can choose to climb down 1400 steps to the base of the falls (timings – 9 a.m. to 4 p.m.). There are two viewpoints to see the waterfall from. The main entrance where you need to pay an entry fee also has a proper parking lot. Hotel Mayura Gerusoppa run by the Karnataka Tourism Department is situated here. You can not only see the waterfall, but also the surrounding mountains and valleys from this spot. The power plant and dam is also visible. Unfortunately, we could not see the waterfalls from here because of constant mist rising from the chasm into which the water falls. The roar of the waterfall was quite evident and the whole atmosphere of most floating through the valley was captivating, but not being able to see the waterfall was disappointing. On the opposite side is another viewpoint. The Public Works Department – Inspection Bungalow (IB) is situated here, but the viewpoint is open to general public. The view of the waterfall is quite different from this side and the chances of visibility is more as there is no mist. My recommendation would be to reach the viewpoint near the IB before 9 am to get the best sights. Most tourists start arriving much later. 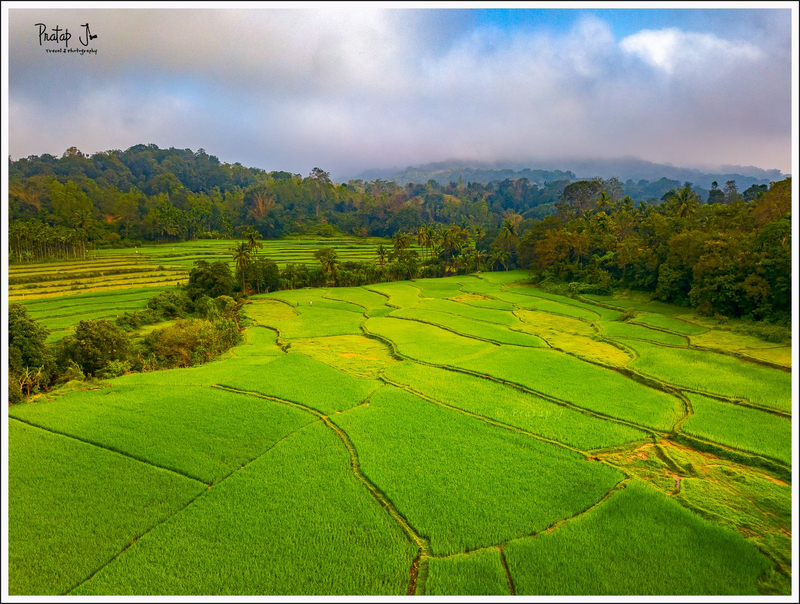 If you have more than a weekend to spare, a road trip through Sharavathi Valley and towards the coast can be very rewarding. More on that coming soon. Stay tuned!